Dr. Sender completed his medical school training at the University of the Witwatersrand in Johannesburg, South Africa. He went on to complete his internship and residence in pediatrics at the University of California, Irvine. To round out his medical training, Dr. Sender completed a fellowship in pediatric hematology-oncology at Children’s Hospital Los Angeles. In his more than 20 years of experience treating pediatric, adolescent, and young adult cancer patients and survivors, he has seen how the field of oncology has changed and how concerted efforts are now made to address patients’ ancillary needs, including fertility preservation, management of acute and chronic treatment effects, and to be sensitive to the psychosocial impacts of a cancer diagnosis on those just beginning their most productive years. Dr. Sender’s research interests are comprehensive and multidisciplinary, extending from epidemiological components (incidence, prevalence), to biological factors (genomic or cellular differences), to the psychosocial impact of cancer, to long-term cancer survivorship. In 2011, Dr. Sender was the recipient of a $10 million Hyundai Hope on Wheels grant to study the genomic basis of pediatric and adolescent and young adult cancers to test the hypothesis that genomic knowledge can enable clinical decisions related to treatment options. In 2010, he founded two entities critical to the development of the emerging adolescent and young adult (AYA) oncology subspecialty as President of the Society for Adolescent and Young Adult Oncology (SAYAO) and Editor-in-Chief of the Journal of Adolescent and Young Adult Oncology (JAYAO). 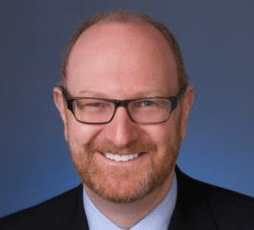 Dr. Sender currently serves as the Medical Director of the Hyundai Cancer Institute at CHOC Children’s and as the Director of Clinical Operations and Program Development of the Chao Family Comprehensive Cancer Center at UC Irvine Medical Center. His dual clinical positions at CHOC Children’s and the University of California, Irvine allows him to see patients across the entire age spectrum from infants to older adults, including patients in the AYA age range of 15-39 at both institutions.